I got the recipe from the CrossFit Kitchen, and I'm sharing it with you here. I can't wait for this meal... I have literally been looking forward to it all week! And I cannot wait to come back and share the results with you... I hope it's not an epic failure!!! Summer heat getting to you? 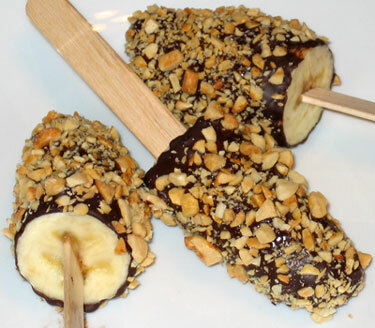 I know it has me sweating... what better way to cool down (and get rid of those ripe bananas sitting on your counter) than making Frozen Nanners on a Stick? That's right, there is no better way! Hooray! Take some time out today to whip these up and I promise you won't be disappointed. They are delicious and hit the spot. The palm-like Acai (Ahh-si-eee) is one of the Amazon forest's most celebrated trees- all thanks to its luscious blueberry-chocolate flavored berries and their long heralded nutritional support for well-being. Acai is loaded with antioxidants that help protect against free radicals that can damage cells, including those of the joints, heart, skin, immune system and eyes! A staple of the Amazonian diet for centuries, Acai features a dense nutritional profile that is perfect for promoting overall health. 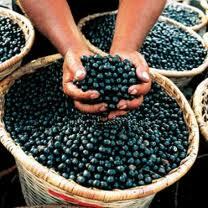 A study published in the Journal of Agriculture and Food Chemistry confirmed Acai's antioxidant qualities. Study participants who received Acai pulp and juice, compared to placebo, were found to have elevated antioxidant capacity in their blood within four hours of consuming Acai. Another study that analyzed Acai's nutritional content found the berry to naturally contain multiple flavonoids and anthocyanins, antioxidant compounds that help support overall health and wellness. 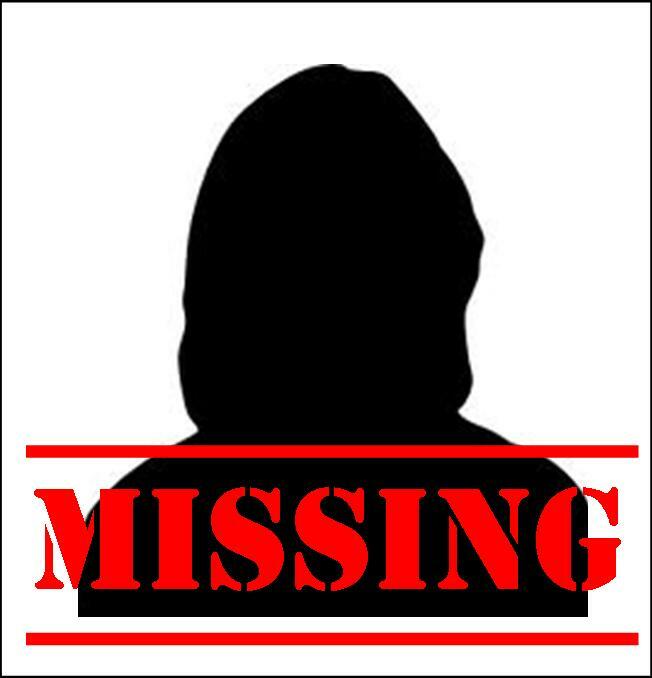 and I was like, where'd who go? I know, I know! I have been MIA for the last couple of weeks. A lot has been going on at our paleo household. Getting ready for summer, holidays, trips, high school graduations, and birthdays! Somewhere along the way, I fell off the paleo wagon... for two whole days to be exact!!! Memorial Day weekend catapulted me off the wagon and into the land of pancakes, strawberry frosted lemon cake, tortilla chips, more cake, pasta , more cake, and French Fries!!!! Oh my! 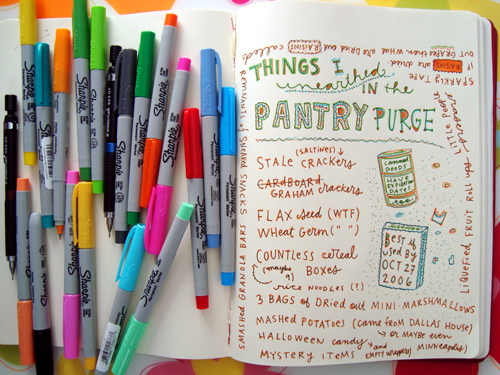 I am back on track now and feeling very guilty about those two days... but something just snapped, and I gorged! I must have put of at least 5 lbs and inches in my bloated belly! So here I am, back and at it… eggs and an apple for breakfast, Mexican chicken salad for lunch, some nuts and banana for a snack and chicken with sautéed vegetables for dinner, followed by some fresh organic berries for dessert! Are Carbs the New Cocaine? Now I'm not a fan of Dr. Oz, actually I've never even watched his show... but commercials for yesterday's show caught my attention... and I had to tune in. "Today I'm talking about one of the most addictive substances out there... you constantly crave it, you just can't get enough... all you think about is your next fix... It starts with the letter C"
"I'm not talking about Cocaine, I'm talking about CARBOHYDRATES! It turns out unhealthy carbs, especially things made with white flour, like white bread and pasta maybe be just as addictive as cocaine and heroine. 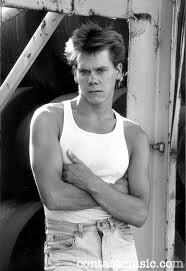 ARE CARBS THE NEW COCAINE"
Are you Achin’ for some Bacon?? 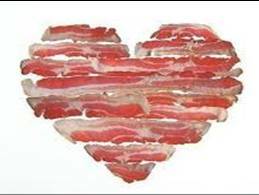 So today I'm sharing three of my favorite Bacon Recipes with you... enjoy! Are these well-disguised fast foods sabotaging your weight loss? Today I am sharing an article written by an old schoolmate of mine... she is brilliant, and embodies everything we should try to be. This article was so beautifully written I had to print it here for all of you... let her help you fit into your skinny jeans this summer by avoiding seemingly "healthy" fast food! A few years ago the trend was organic. Everything from dog bones to shampoo to cookies sold at Costco was certified organic. The term organic became so widespread, in fact, that it started to mean nothing. So what’s the trend in the food industry now? Slow. Slow food – the notion of understanding (and caring about) where your food comes from and the process by which it is made – has unfortunately become another concept taken over and used by the food industry to increase sales. The most recent Starbucks commercial, for example, traces the lifespan of a coffee bean. We watch as it passes through the farmers’ hands, making its inevitable journey to becoming a frappucino. In a similar vein, the smart guys at Tropicana recently decided to change their bottle from its usual bright orange plastic to a more transparent one, “so you can see that it’s real.” Meanwhile Olive Garden swears up and down that they send their chefs to Italy to learn from the artisan, authentic chefs in the small, rural villages. The allegedly persuasive idea here is transparency, knowing the real from the fake, seeing the source. It’s why we go to the farmers market. It’s why the Ferry Building in San Francisco is such a special place. And it’s being used as a marketing ploy – and this is where grocery shopping starts to get tricky. So here you go – a list of a few “fast foods” parading as “slow foods”…Could one (or more) be to blame for your tight pants? The weight has been creeping back since my birthday, and I’m doing something about it, starting TODAY! I’ve been indulging in a little too many fruits, nuts, and Paleo baked goods… not to mention a little more than necessary amounts of chocolate and wine! So I’m taking the Whole30 Challenge. I know my girlfriends will be saddened by this as we have dinner plans at SPINA Thursday night… and wine is always one the menu at our outings. 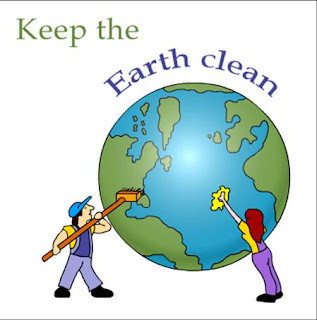 However, there is never a good/convenient time to go clean for 30 days, there is always some party, some birthday, some evening out that will tempt you, if you want to change, the change has to start today… and I’m changing! Join me won’t you? Below is an outline of the Whole30 right from the Whole9 website... but basically, I'm going 100% Paleo, 100% of the time! I'll keep you updated week to week on the challenges I am facing and the rewards I am experiencing. 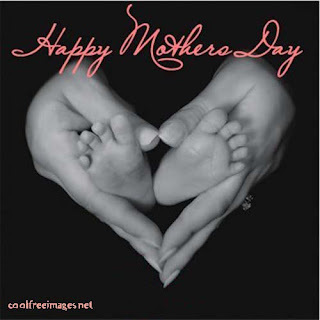 Happy Mother's Day to all the Mom's out there! Mother’s Day was very nice for my mom this year (so she says!). We started the morning out with coffee and a trip to the gym! This is not just any gym though, this is more like MECCA for the gym rat, I would move in if I could!! My parents belong to Lifetime Fitness in Florham Park NJ, and this place is AMAZING! They have an outdoor pool, opening soon, with loungers, lap lanes, and WATER SLIDES, plus two indoor pools! They also have a pretty sweet café, salon, spa, rock wall, basketball courts, squash, Pilate and Yoga studio, classes galore, a fun spot to drop the kiddies, and more cardio and weights than I’ve ever seen in one place, as well as the handiest stretching machine I’ve ever used! They also have gorgeous locker rooms with saunas and the best smelling shower products. Anyone else a member? Will you take me back as your guest! Haha. To reward our efforts at the gym we headed home for a nice low key brunch. We started with a cheese board (Dubliner, Queso Manchego, and Jarlsberg) with a fig and almond loaf that was just delish. For brunch we served two types of scrambled eggs (plain and with scallions) with Applewood Smoked Bacon, Taylor Ham and Prosciutto-Wrapped Asparagus (this was a huge hit, and the recipe is below! Sure easy for a dinner party, brunch, or pot-luck appetizer). We ended brunch with a big bowl of strawberries and very full bellies! 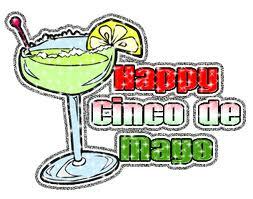 Cinco de Mayo is most celebrated in Puebla, Mexico where the famed Battle of Puebla took place on May 5, 1862. While many people in Mexico are apt to nod off at the thought of Cinco de Mayo, it has become a popular day of celebration within the Mexican communities in the U.S.
Cinco de Mayo is a fun celebration full of brightly colored decorations, dancing, mariachi music and even parades. So, grab yourself a pinata, some basic ingredients and let’s make a fiesta. Here are some ideas for your party menu to make your Cinco de Mayo fiesta delicious and memorable! I'm feeling under the weather, could I have the "low-carb flu"!?! 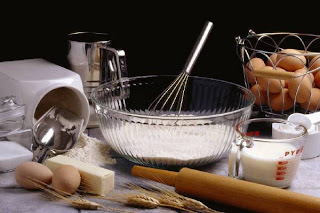 Do you ever start cooking a meal with the intent to make one thing but the end result is something entirely different? This happens to me more often then I would like to admit, and this soup is the result of such an event. You see, it was inspired by a shrimp dish I had at a local restaurant but when I started cooking one thing led to another and I ended up with this flavorful coconut curry shrimp soup. This has become one of my favorite soups to prepare when I’m in a jam and need dinner quickly! It is quite easy, tasty, and especially perfect for a cold or rainy night. What I love about this recipe is that it doesn’t require exact amounts of anything. It’s a little bit of this… a little bit of that. Before you know it, you have an awesome soup your friends and family will love! Enjoy! That’s right, today we’re talking conversions! With Easter weekend over I’m recuperating from a baking/cooking hangover. We had family in town for dinner and dessert. Luckily, we headed out to a wonderful restaurant in Hoboken for dinner, and then came back to the NJ Paleo Girl abode for coffee and desserts: a platter of fruit for yours truly and Baklava and Florentine Lace Cookies for the masses. It got me thinking though, with so many of you out there hosting holidays, dinner parties, or just cooking for your families on a nightly basis, how do you make that recipe for chocolate cake that was handed down from your grandma? Here are some common ingredient suggestions for adapting your favorite recipes to make them Paleo Friendly! Paleo Pulled Pork and a feast fit for a king! This Tuesday I loaded up my Crock Pot with a big ole' pig shoulder, set it, and forgot it! When I got home 9 hours later my kitchen smelled delicious, and my poor pup was salivating. This meal is easy to make, and although may take some time in the beginning, it'll make you enough to eat all week! I left the pork on warm in the pot, and got started on my sauce and breads! (I know the paleo strict turn their noses up at paleo baking, but I love the challenge, and often the results!) I made two loaves of bread because I was unsure of the recipes and ingredients and didn't want to be left without a nice chunk of bread to dip in the yummy BBQ sauce that was I cooking! After the sauce was simmering on the stove and the bread loaves were in the oven, I started on the Paleo Mayo and Paleo Slaw. Once all pieces were ready, the meal was a snap to throw together, very filling, super comforting for a nice cool spring night (I can't wait to break it out again when the temperatures heat up), and has only gotten better each day since!! Paleo Lent Week 7--- the home stretch: brinner is a winner! Easter is just around the corner, so take a break, it's been a long 40 days and serve up some meat-less BRINNER (breakfast for dinner) this Friday night! It's a shame that most breakfasts are eaten on the run. Even when you take the time to make a more complicated breakfast, your family is too busy and just won't sit around the table. (I know in my house PaleoHubby has worked out, showered, eaten, and is at work before I even roll out of bed!) Learn from the past and try this tip from my childhood and enjoy breakfast again! When I was young, it was a treat to have breakfast for dinner, so serve breakfast foods for dinner this Friday, and get the best of both worlds; talking and relaxing at the end of the long week, and delicious, comforting foods. But regardless of whether you choose dishes that you know like the back of your hand or try something new (like the paleo recipes for pancakes and muffins below! ), breakfast fare remains the perfect antidote to dinnertime doldrums and a break from routine that allows you to revisit the often neglected breakfast goodies. As far back as the 1950’s chemical additives began making their way into our foods as a way to extend shelf life and ‘freshness’ of food products. 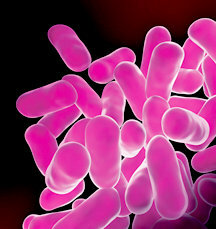 The aim of these processes was to kill off unwanted bad bacteria in the food. 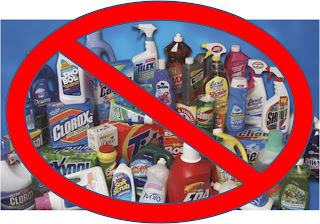 However in addition to killing off bad bacteria; these processes also cause the good bacteria that are essential for our health, to die. 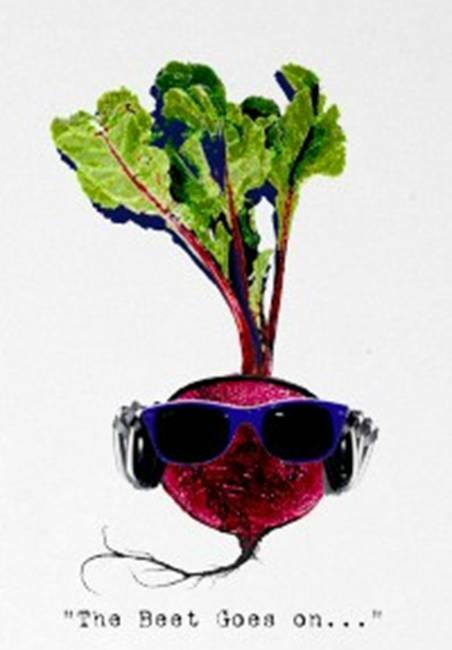 My love affair with beets began back in high school. I was trying to lose weight and my friend told me about the 3 day diet. On this absolutely, completely, totally, 100% ridiculous fad-diet I would eat beets each night, along with other random food pairings such as hotdogs, greenbeans, tunafish, and vanilla ice cream. I had never had a beet before so I headed to the store and picked up cans of beets and my life has never been the same! My friends think I’m odd, but I cannot get enough: if there is a beet on the menu, I’m ordering! Paleo Lent- Week #6: Meet me in San Francisco! 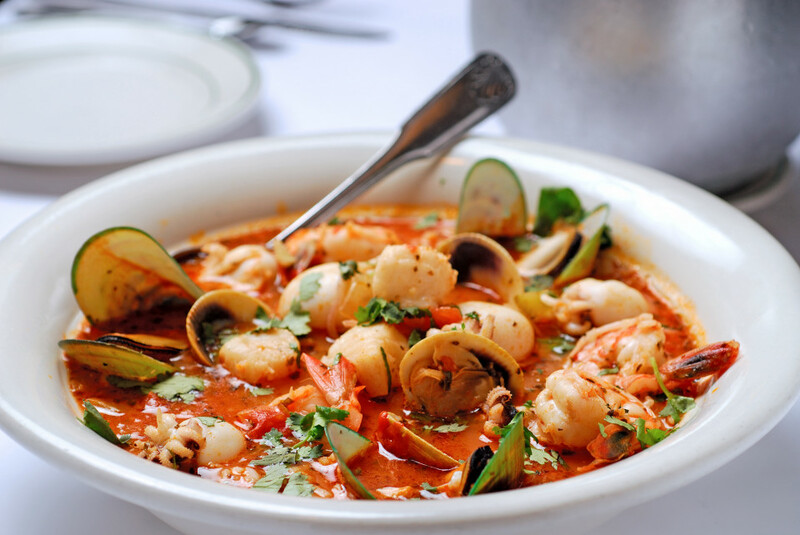 This Wednesday we’re escaping to the beautiful San Francisco… and the deliciousness of CIOPPINO: A seafood stew! This is truly the "Soul" food of the San Francisco waterfront and probably one of my favorite dishes. There are thousands of ways to make this stew but all of them take a bunch of seafood, great spices, rich tomatoes, and bold dry wine resulting in the most flavorful and messy to eat stew that ever was! So make some for your family and friends, but remember to serve with plenty of napkins and maybe even a bib and a plastic tablecloth! The name comes from ciuppin, meaning "to chop" or "chopped" which described the process of making the stew by chopping up various leftovers from the day's catch. 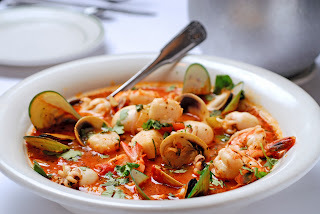 Although the eponymous Cioppino's in San Francisco tells a far better story of the broken English cries begging for the men to donate a small piece of their catch for the communal stew begin prepared on the famous Fisherman's Wharf back in the day… "chip in"… “chip in” turned into "chip-in-O" or "Cioppino!" 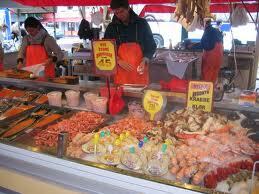 A few clams or crabs, a couple handfuls of shrimp, scallops, squid, mussels, some red snapper, halibut or flounder. Once the stew was prepared, the "Club" of San Francisco fisherman would gather round and talk about the days catch and dunk San Francisco Sour Dough bread into the rich broth. There was no care as to how the stew is assembled. It consisted of throwing the days catch into a big pot and pouring a tomato sauce on top, and then leaving all these flavors meld and enhance each other for awhile. This was just brought to my attention and I wanted to share it with you all! Why: Potential oxidation of the product may permit the growth of mold. Citrus Shroom Chicken and Mashed "Taters"
Tonight’s dinner is super easy, and delicious! While the chicken breasts are in the oven, whip up your mushroom sauce and enjoy a healthful and great tasting meal. 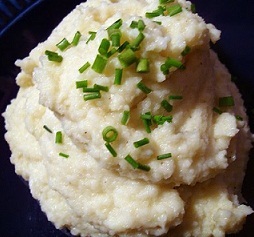 Serve with some broccoli florets, or try some "paleo mashed potatoes"! It’s my birthday! And we’re celebrating with a Paleo Treat! I LOVE LOVE LOVE LOVE Carrot Cake!!!! Lucky for me, I currently have an absurdly large amount of beautiful organic carrots in my refrigerator (thanks to Urban Organic)! So what else would I pick to make for this glorious birthday--- that’s right, Carrot Cake! 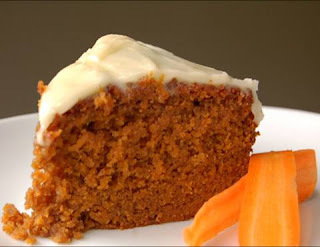 But not just any old carrot cake, a Paleo Carrot Cake with Coconut Cream Frosting! This cake is moist and delicious with a just a hint of orange. It’s also sweet from the orange and carrots so if you don’t have a very big sweet tooth you may want to cut back on the honey, but for a real treat leave it as it is! Bonus: This cake can be kept in a tin or in the refrigerator for about a week. Paleo Lent Week #5: who let the catfish out of the bag? The new U.S. Dietary Guidelines, which are released every five years by the Department of Health and Human Services, are out! For us Paleo Peeps out there, these guidelines are no brainers- but it’s nice to see that the Guidelines are backing us up (mostly- there is some mention of soy, grains, and beans). 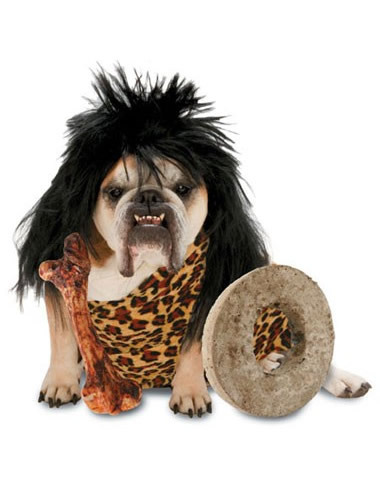 Here is their paleo support- yay! • Increase vegetable and fruit intake. • Eat a variety of vegetables, especially dark-green, red and orange vegetables. • Choose foods that provide more potassium, dietary fiber, calcium, and vitamin D, which are nutrients of concern in American diets. These foods include vegetables and fruits. • Choose a variety of protein foods, which include seafood, lean meat and poultry, eggs, and unsalted nuts and seeds. 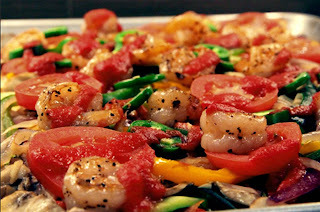 • Increase the amount and variety of seafood consumed by choosing seafood in place of some meat and poultry. 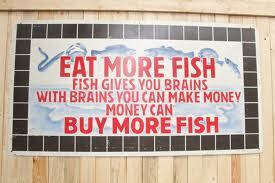 The government is also pushing us to eat more (of some things) -- at least eight ounces of fish a week!! I know this is something (prior to Lent!) I have been lacking in my diet. I just find fish to be harder to cook. I think of fish as delicate and therefore very time consuming... but it doesn't have to be. There are many recipes out there for quick and easy or hearty and well-loved fish. So eat fish or shellfish as your main meal at least once a week for your health. Pick a day and make it your official seafood day! 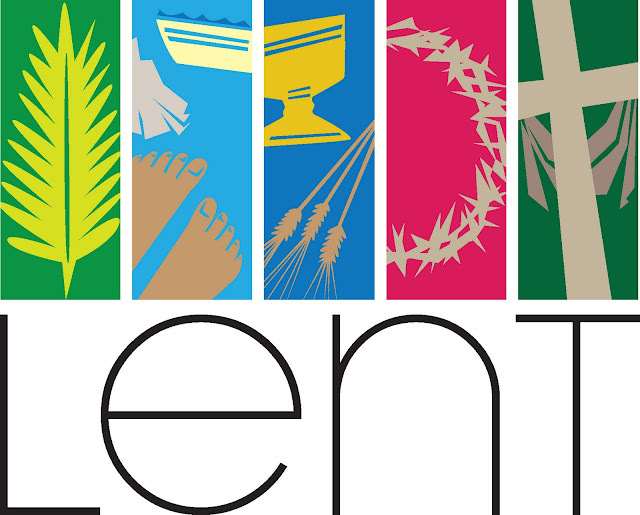 Like Meat-less Friday’s during Lent? Stick to it after Easter Sunday, or start a new tradition- Meat-Less Mondays anyone? Fish is low in fat and is a good quality protein, filled with vitamins like riboflavin (Vitamin B2), which aids the body in the metabolism of amino acids, fatty acids, and carbohydrates and Vitamin D, which aids calcium absorption to help prevent osteoporosis. Fish is also rich in calcium and phosphorus and a great source of minerals, such as iron, zinc, potassium (a mineral needed for muscles, nerves, and fluid balance in the body), iodine, and magnesium. Fish is also an excellent source of Omega-3 fatty acids, a fatty acid that our body cannot produce on its own. Omega-3 fatty acids are found in every kind of fish, but are especially high in fatty fish. Good fish choices for Omega-3’s include salmon, tuna (canned light), trout, sardines, sea bass, oysters, crab, perch, shrimp, and cod. Researchers for the American Dietetic Association found that fatty fish aid short-term memory. The Rush Institute for Healthy Aging states that people who eat at least one meal of fish per week will be significantly less likely to develop Alzheimer's disease than those who never eat fish. Have concerns about the price of fish? 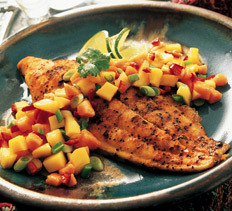 Why not try Tilapia? 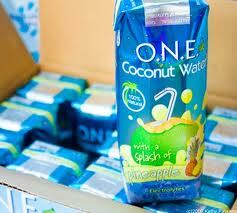 It's readily available in most markets and doesn't cost very much. It's a very mild white fish that you can coat with “paleo bread crumbs” (almond flour and egg wash) and pan fry, stick under the broiler for a few minutes with some light seasoning (oregano or old bay), or just steam in a foil packet with some veggies and lemon juice and garlic. It only takes a second to cook, really. Want to branch out: Here's how to make the perfect piece of grilled salmon (ridiculously easy!). And I’m obsessed with this spicy grilled tuna with garden salsa (use coconut oil instead of the spray for a tropical flavor!). Bonus: The tomatoes offer a hefty dose of vitamin C.
Visit your local fish market, and challenge yourself to try something new--- I know I will be going this weekend! p.s. 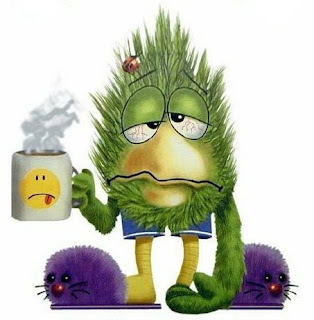 I apologize for the lack and/or shortness of posts this week, I am getting sick as well as turning another year older... I will be back in full effect next week--- I promise. Let's tell Chipotle Test Kitchen that we love meat not soy! 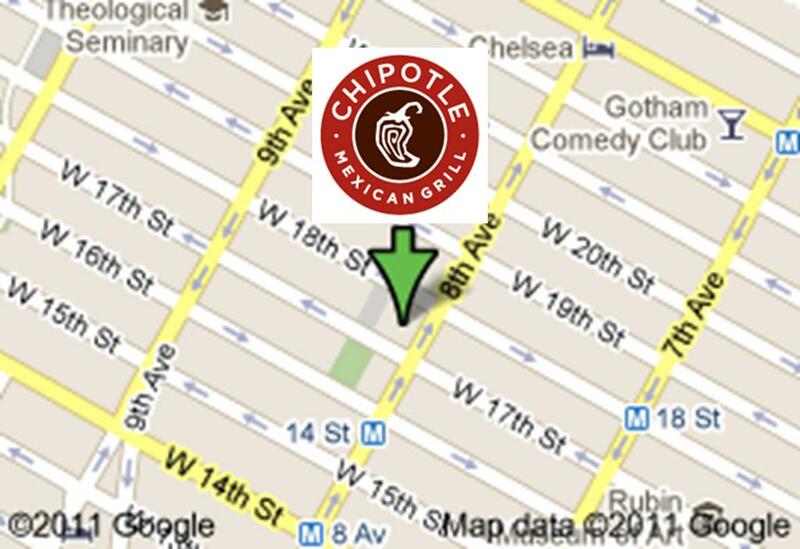 How to find us: The mob of people demanding beef without soy oil! Trying to hollar at me. No, in all seriousness- Body scrubs are a great way to keep your skin healthy and beautiful through exfoliation (they can be abrasive so only use 1-2 times per week). You can buy a body scrub for anywhere from $5-$50 to give yourself a body scrub at home or spend even more to get a body scrub treatment at a spa. Most body scrubs have these three ingredients: an exfoliant, oil, and a fragrance. The Exfoliant is the abrasive material that rubs away the dead skin cells on the surface, revealing the softer, younger cells just below. The Oil holds the mixture together so you can apply it to your skin (more expensive body scrubs usually have more expensive oils like macadamia oil, kukui nut oil and sweet almond oil). The Fragrance leaves your skin smelling nice after the scrub treatment. Ideally, the fragrance will come from high-quality essential oils; budget body scrubs will have synthetic fragrances and more synthetic ingredients in general. So for this installment of Paleo Beauty Friday I am saving you money and helping you to make your own quality body scrub! 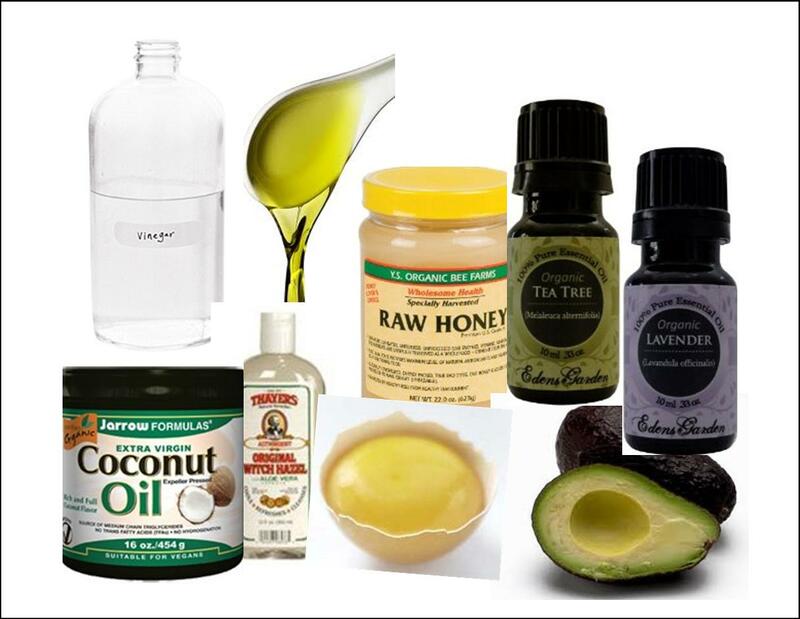 This mixture will not only make your skin feel soft; it is also full of minerals & nutrients that will benefit your skin for days afterwards (and makes enough for several applications!). This body scrub uses jojoba oil, peppermint oil, honey, vitamin E, and almond meal. 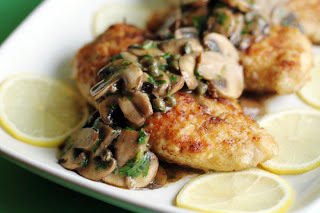 This Wednesday I’m sharing with you two of my favorite recipes! The first is a sweet and spicy shrimp recipe my mommy used to make for me, and it’s the best! The second is a request from my girl Shorty- the avocado side salad I served for dinner at our last girl’s night. They are both super easy to make, delicious, and beneficial to your health! Shrimp are an excellent source of selenium (helps our immune system and reverse signs of aging), they are an unusually low-fat, and low-calorie protein, as well as a very good source of vitamin D and vitamin B12. While the tomatoes and avocado in the salad can help protect your heart, lower your cholesterol, improve your vision, and prevent cancer! So here’s to your health, and a meat-free Friday! Only three more weeks until Easter! What’s the best way to avoid temptation--- get it out of your house! When I began the Paleo Diet, just about three months ago, the first thing on my list was to clean out the kitchen cabinets. My husband and I live in a 700sqft apartment and storage space is limited and therefore precious. The cabinets had long been a source of stress and contention. We moved in shortly before my Bridal Shower, and needless to say, the gifts I received were exponentially larger than our tiny apartment. Everything needed space in the kitchen cabinets, but they were so full of processed garbage that we did not have room for the good stuff (hello kitchen aid stand mixer , cuisinart food processor , and my prized molcajete !) It took me changing my diet and lifestyle to finally go through the overcrowded cabinets and purge all of the processed crap! Paleo Food of the Week: Macadamia Nuts! • It takes approximately 300psi to crack a Macadamia nut. That is why they are so expensive, and you thought it was because they were so yummy. • Perhaps the most unique use reported for macadamia nuts is in the treatment of sexual phobias, they are used as sexual tonics. • Macadamia husks are generally returned to the field as mulch or used for compost material. • In a Simpsons cartoon episode Homer and Marge want to get rid of Santa's Little Helper after the dog eats their special macadamia nut cookies. • Because the macadamia nut shell is so hard it is ground up and used as a high power blaster for polishing aluminum and other metals. • Macadamia nuts are native to Australia. They are named for John Macadam, a Scottish born physician and chemist who promoted the nuts cultivation in Australia. • The Macadamia was introduced into Hawaii around 1881although the first commercial orchards of macadamias were not planted until 1921. • Australia is now the world's largest commercial producer - at approximately 40,000 tons of nut in shell per year, with a total global production of 100,000 tons. • Macadamia nuts are harvested by hand after they fall to the ground. • Macadamia Nut oil content can be as high as 80%. • Macadamias are toxic to dogs. • Macadamia oil is prized for containing approximately 22% of the omega-7 palmitoleic acid. This relatively high content of "cushiony" palmitoleic acid plus macadamia's high oxidative stability make it a desirable ingredient in cosmetics, especially skincare. • The macadamia tree and does not begin to produce commercial quantities of nuts until it is 7–10 years old, but once established, may continue bearing nuts for over 100 years. • A mature tree will produce 60 to 150 pounds of nuts a year. • Macadamia nuts are often fed to Hyacinth Macaws in captivity. These large parrots are one of the few animals, aside from humans, capable of cracking and shelling the nut. This week's Paleo Beauty Friday is helping you get a healthy scalp, add volume, boost shine, and even preserve your color with 4 great hair remedies from Marie Clare that you can find in your refrigerator, and all ingredients are paleo friendly! YAY! Don’t have the motivation to get moving at the gym, put down your car keys and take Fido for a walk; a University of Missouri-Columbia study shows it could be just as beneficial! Taking over the family dog walking duties may have you seeing weight loss that rivals what you could achieve through a gym’s fitness program. Walking the dog 20 minutes a day, 5 days a week produced an average weight loss of 14 pounds for participants in the yearlong study. Our Paleolithic ancestors exerted themselves daily to secure their food, water, and protection (modern day Paleo’s can feel good about walking/hiking/moving for 3-15 miles per day or 3-5+ hours per week). Although modern technology has made physical exertion optional, it is still important to exercise as though our survival depended on it, and in a different way it still does. We are genetically adapted to live an extremely physically active lifestyle. A sedentary existence predisposes us to obesity, hypertension, the metabolic syndrome, diabetes, and most types of cardiovascular disease, whereas regular exercise decreases the risks of developing all these diseases. The biggest difference separating the Atkins Diet from Paleo/Primal Nutrition is that there are no specifications as to the quality of the food you are putting in your body. The meat you eat can be organic or not, cage-free or not, grass-fed or not, hormone injected or not, and your dairy can be raw or completely processed. 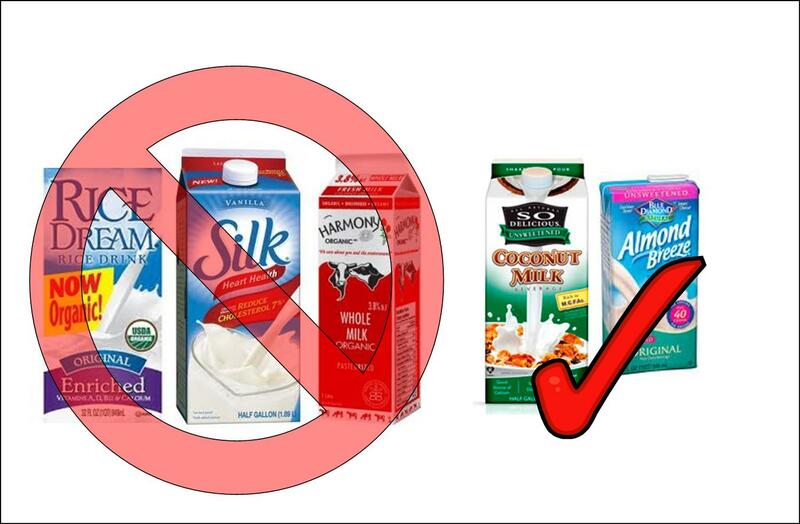 All the Atkins Diet says is restrict net carbs and you will lose weight. Another major difference is that The Atkins Diet is a weight loss program; it’s not invested in your fitness, its 100% weight loss and maintenance of that loss through diet. While the Paleo Diet is about weight loss too, it is also about health, nutrition, and fitness. 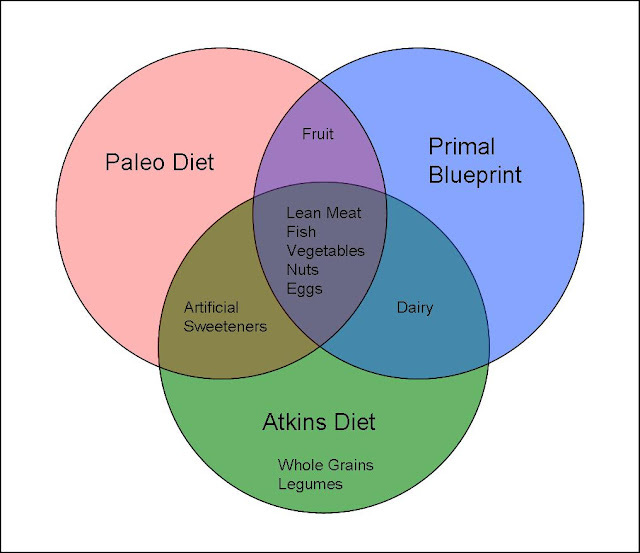 The Paleo Diet is about having the best health one can have, and eating and moving in a way to optimize it. The Primal Blue Print on the other hand is more about a holistic lifestyle, weight loss will come with it, but it is more than just losing weight, it is about optimizing your lifestyle: health and happiness. 2 Months In: I'M WEARING MY SKINNY JEANS!!! So after two months following the Paleo Diet, and completely SLACKING at the gym (let’s just say today, if I make it, will be my first time in over TEN DAYS! I usually go 5 days a week!) I am fitting into my “skinny jeans” (that’s down at least one whole size)!! Ok, technically these were never my jeans- they belonged to a former roommate. You see, every spring my girlfriends and I try to have a “clean out the closet, get ready for spring” clothing swap. During last year's swap, my roommate brought out a gorgeous pair of Citizen for Humanity Jeans already hemmed to perfection (she was about my height, i.e. short)! They had been her “skinny jeans” for a couple years, and she was finally giving up on every fitting into them again. February 2011. Simple theme. Powered by Blogger.